Examiners at the Consumer Financial Protection Bureau and the OCC remain intensely focused on incentive compensation and sales practices, particularly at banks with more than $20 billion in assets, according to senior officials speaking at ABA’s Government Relations Summit this morning. 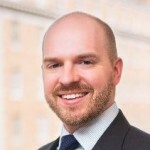 Toney Bland, senior deputy comptroller for midsize and community bank supervision at the OCC, said that his agency is focusing on complaint management and reporting and on systems and programs to mitigate risks associated with sales practices and incentives, “including in the wealth management area.” D’Angelo added that banks must also consider “incentives you create for your service providers,” noting that the CFPB has seen incentive concerns with credit card add-on products and third-party debt collectors. The American Bankers Association has produced a members-only incentive compensation and sales practices risk assessment tool to help bankers to comply with and navigate evolving regulatory expectations in this area.